Every day, we should all ask ourselves one question – what did we do to deserve animals? All animals are to be respected and loved, and in fact, we humans could learn something from them. The two most popular pets are dogs and cats, and the question has been asked many times – which one is better to have? We don't have a universal answer to this, and we will leave it up to you, but whatever pet you decide on, be sure to invest in them fully and give them unconditional love. Centuries of domestication has resulted in a number of different breeds and now you can choose a feline friend that suits your lifestyle and preference. A domesticated cat that has become more popular every year is the Ragamuffin cat. Although the breed has only been around for two decades, millions of people have grown fond of them and have one at their household. So let’s get to know more about the Ragamuffin cat. How much does a Ragamuffin Cat cost? Unlike Balinese or Siamese cats that tend to get a little too loud, the Ragamuffin Cat is perfect if you are living in a smaller apartment or you enjoy a breed that has a calm nature. Ragamuffin cats are extremely social and playful and enjoy companions of any kind. Whether you are hanging out with your friends or playing with your kids, a Ragamuffin cat will be happy to sit around and contribute in their own way. Apart from that, it is highly intelligent and will be a great feline companion. And what might be most important is that it is friendly with other pets as well, so your dog will not present a problem – in fact, they will be a great duo. The origin of the Ragamuffin cat is somewhat complicated as it is a cross between a Persian cat or an Angora cat, and a Ragdoll cat. It only to become an official breed in 1994 when it was finally recognized by the ACFA. 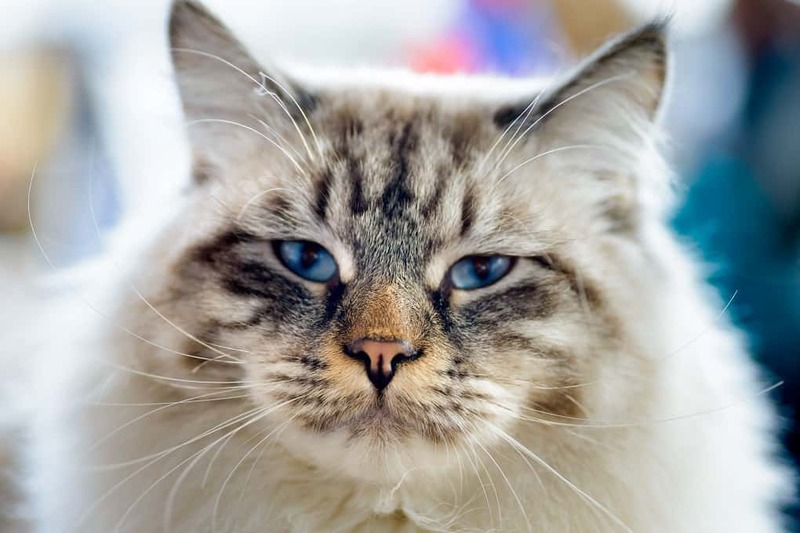 The story of this breed started with Ann Baker who created a breed after a few litters of Persian and Angora cats ended up with attractive kittens, that were later known as Ragdoll cats. While further development is not exactly clear, it is thought that the fanciers and breeders started breeding Ragdoll cats with Persian or Angora cats in order to achieve what is now recognized as the Ragamuffin cat. Falling under the category of heavy breeds, it is among the most popular cats in the US and the UK. There is a clear difference between the physical looks of a Ragamuffin and a Persian cat. To start, a Ragamuffin is much larger and is typically in the range of 15 to 20 pounds. Its main traits are wide shoulders and chest, as well as a fatty pad in the lower section of the abdomen. The face is not completely wedge-shaped – instead, it has more of a round shape, while the chin is firm, and the cheeks are puffy. When it comes to the ears of a Ragamuffin, the shape differs from the Siamese cat’s triangular one, and it is more of a rounded shape that is slightly bent forwards. Their eyes are walnut-shaped and there is no restriction to the color as even gold and aqua blue are a possibility. It is heavy boned and has big round paws. When it comes to the coat of the Ragamuffin cat, we are talking about medium to long hair, and it is thick and full around the neck and face sides. With the tail being proportional to the full body, it resembles a plume. There are a variety of different patterns and colors accepted by ACFA. Firstly, there are three different patterns: pointed, mitted, and solid. As for the colors it comes in, the most popular are white, black, blue, red, cream, brown, lilac, fawn, chocolate, cinnamon, lavender, cameo, silver, and chestnut. There are other color variations that are a possibility, but most are not recognized by the ACFA (apart from the above-mentioned ones). A Ragamuffin cat has a medium-long coat which means you will have to perform at few grooming and brushing sessions on a weekly basis. Still, their hair is pretty silky and with regular maintenance, you shouldn't have problems with tangling and knots. On the other hand, it doesn't require much other care apart from teeth brushing (to prevent periodontal disease) as well as nail trimming and ear cleaning. Ragamuffins are a healthy breed and can safely live above 12-13 years with the proper nutrition and care. However, there are still two conditions that come as hereditary threats. The first one is polycystic kidney disease, and it is a consequence of crossbreeding with Persian cats. Luckily, it can be detected through screening and treated before it turns into a life-threatening condition. Ragamuffin cats can also suffer from hypertrophic cardiomyopathy and while it is not as common as the kidney condition, it can still occur, mostly in male cats. This is another reason why you should ask for a health guarantee and proof of performed screening tests from your breeder. 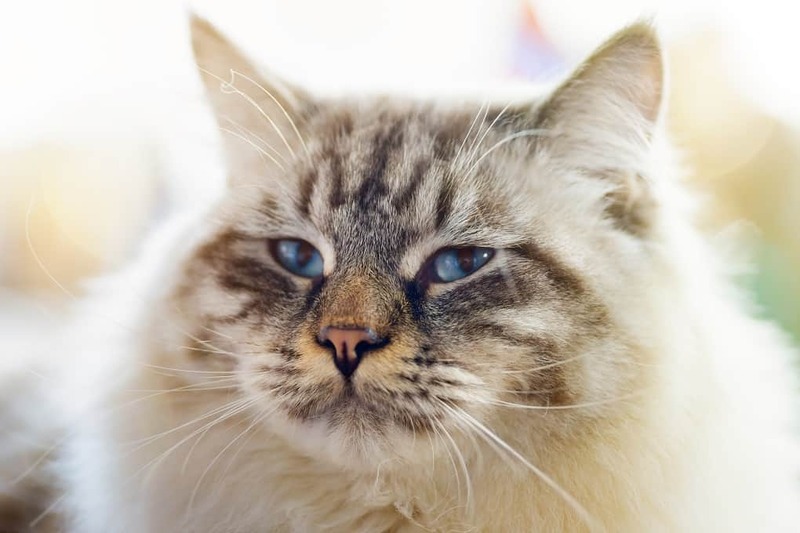 Ragamuffin cats have become particularly popular in the UK and the US, meaning that you probably have at least a few local breeders around your area. If not, online breeders are always an option, and they might be more reputable when providing feedback and health certificates. The most important thing when buying a cat is that it is not a part of an inbreeding line and that you are given the proof of performed screenings. We think that adoption is also a great idea, and believe it or not, there are Ragamuffins that end up as strays. By adopting, you can save money and perform an act of kindness. When it comes to the price of this cat, it is in the mid to high range. An average Ragamuffin cat costs somewhere between $800 and $1200. Along with that, you should count in the costs of registration, as well as performed screenings, food, and future vet expenses. 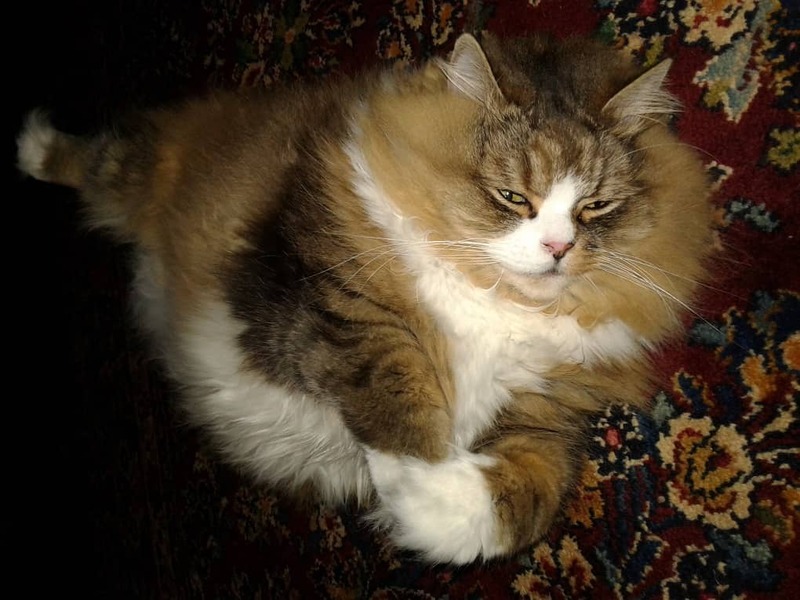 If you think all that is too much for you, you can adopt a Ragamuffin cat – it is cheaper and more humane. One of the most important factors in identifying a Ragamuffin Cat is that they have white paws. While there are certain exceptions, where some types have completely white legs, in 95% of cases, this will be an excellent sign that your Ragamuffin cat is purebred. Apart from that, you should check if the color is recognized by the ACFA and if the coat is fluffy and medium-long. Ragamuffin cats are never short-haired. Lastly, you should look for a wedge-to-round face shape and walnut-shaped eyes. Don't forget to check the tail length – it should be proportional with its body size. While owning a cat is a beautiful thing, it still comes with a number of responsibilities that you need to be ready for. Firstly, a Ragamuffin Cat is highly sociable which means you and your family will have to spend a lot of time with it. Along with that, it needs both physical and mental stimulation to stay healthy. Don't forget that Ragamuffin cats are a long-haired breed and require grooming sessions a few times a week. Lucky for you, Ragamuffin cats are suited to living indoors, and they don't need to roam out on the streets. Still, you need to ensure the best possible indoor or backyard (fenced) conditions for your cat to stay safe, healthy, and happy. More important than the physical traits is the personality of a cat breed. And while some cats might be more aloof and alert, a Ragamuffin cat comes with a calm and social nature. While it is not as loud as a Siamese Cat, it will still be a great companion, and it will enjoy your presence in whatever situation. This is an important thing to consider – unless you have enough time to invest in it, don’t buy or adopt a Ragamuffin cat. They are social and emotional, and if left alone for the whole day, it can result in destructive behavior or degraded overall health. Ragamuffin cats are playful and active, and they are an excellent choice if you are looking to give your kids a feline friend. In fact, Ragamuffins are so intelligent that you can teach them to walk on a leash and fetch sticks and balls. It is pretty affectionate and all that it asks for is a bit of attention and love – plus, it will give back three times more. Apart from this breed being child-friendly, a Ragamuffin cat is able to live with a canine. In fact, there have been numerous cases where a Ragamuffin cat has developed a strong bond with a dog (when properly introduced). When it comes to different types of Ragamuffin cats, there are three different patterns – point, mitted, and solid. Along with that comes a number of different colors and shades of which red, black, cream, blue, lilac, and chocolate are the most popular ones. Comparing Ragamuffin cats with other breeds, we can say that Pixie Bob and Birman cats are the breeds that look and act the most similar to it. With a laid back and affectionate attitude, these three breeds are the perfect choice for a family with children living in an apartment. If you are looking for a highly intelligent, calm, and affectionate breed that will be great with your children and dogs, a Ragamuffin cat might be your go-to. With attractive looks, and a relaxed and friendly attitude, it has all the traits it needs to become your best feline friend.